With no Mother’s Day get-together planned for our family, I headed off to Sacramento for the Amgen Tour of California bike race. I watched the roll out of the men’s stage 1, wandered around the women’s team buses getting photos of the women racers, and then watched the women’s 20-lap criterium. 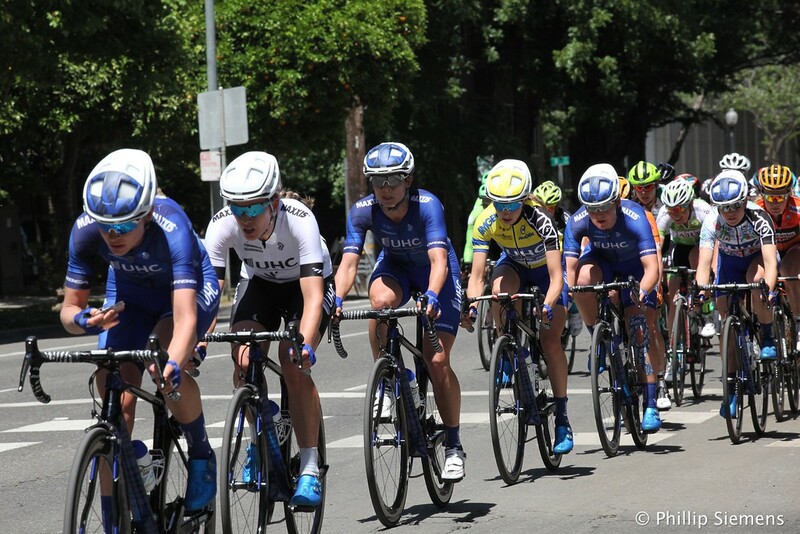 Then the men arrived back in Sacramento for 3 laps before finishing in front of the State Capitol. UHC team leading the yellow jersey (Katie Hall) around. Katie lost the yellow jersey by 1 second because she missed out on an intermediate sprint.